In the left and center pictures Speaker Krishna Bahadur Mahara and National Assembly Chairman Ganesh Prasad Timilsina being felicitated in their home districts of Dang and Parbat respectively on Tuesday. Prime Minister KP Oli inaugurating the Armed Police Force Training Academy in Kathmandu on Monday. The pictures on the left and center were provided by the secretariats of Mahara and Timilsina. 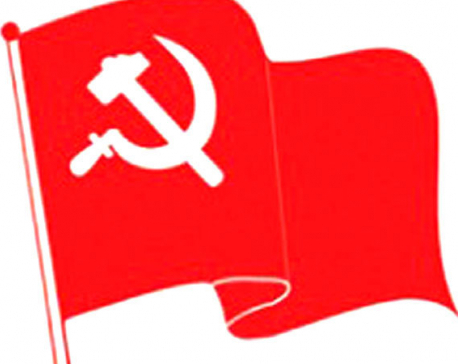 KATHMANDU, March 21: Those elected to top positions in the executive and legislative branches have come under flak for spending too much time attending formal functions and accepting congratulations from well-wishers. 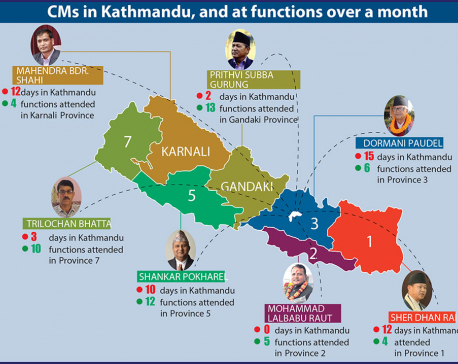 Prime Minister KP Oli issued strict instructions to his ministers not to waste time on ritual activities such as inaugurations, felicitations, being chief guests and going on junkets. Speaker of the House of Representatives Krishna Bahadur Mahara and Chairman of the National Assembly Ganesh Timilsina have also remained busy attending formal functions and accepting congratulations. Dozens of urgent laws are yet to be enacted for the implementation of federalism and for safeguarding the fundamental rights envisioned by the constitution, and the roles of the speaker and upper house chairman are key to nudging the government into expediting this process. Though parliament is yet to complete the work of drafting its regulations and working procedures, the heads of both the lower and upper houses remained busy attending congratulatory functions in their home districts. Mahara attended such a function organized by Ghorahi Municipality and the Dang chapter of the Federation of Nepalese Chambers of Commerce and Industry. Upper house Chairman Timilsina was similarly engaged in his home district of Parbat on Tuesday. While assuming office four days ago, Youth and Sports Minister Jagat Bahadur Sunar Bishwakarma had said that even though he was new to sports, he would do his best to give a new lease of life to sports in Nepal and address the concerns of youth. 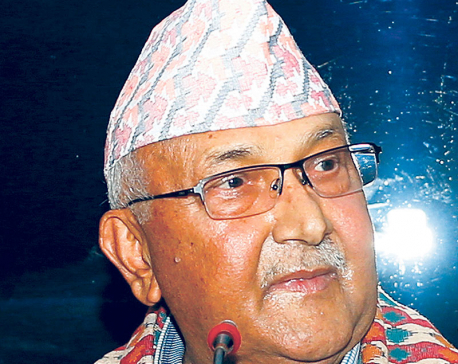 But setting all this aside, Bishwakarma headed for his home district on Tuesday with the sole purpose of accepting congratulations from locals there. On Tuesday, two ministers reached the Melamachi drinking water supply tunnel site in Sindhupalchowk for inspection and returned to Kathmandu in the evening. Sanitation and Drinking Water Minister Bina Magar and Law Minister Sher Bahadur Tamang instructed the project officials to accomplish the project by September, though the project is expected to be accomplished earlier than that. Home Minister Ram Bahadur Thapa, who has been facing criticism after offering juice to break the hunger strike of Resham Chaudhary, the main accused in the Tikapur lynching of seven policemen and an infant, met two other controversial individuals during his inspection of Kathmandu jails. Instead of listening to the problems faced by jail inmates in general, Thapa engaged in a chat with Maoist leader and murder-convict Balkrishna Dhungel and another Maoist leader who is also doing jail time. He likewise did not fail to talk to serial killer Charles Sobhraj. Thapa also inspected Tribhuvan International Airport. Thapa’s interactions with the notorious murder convicts came under criticism on social media, and all this comes just a few days after he offered juice to Chaudhary. Tourism Minister Rabindra Adhikari is meanwhile all set to visit the Chandragiri hills project on Wednesday.